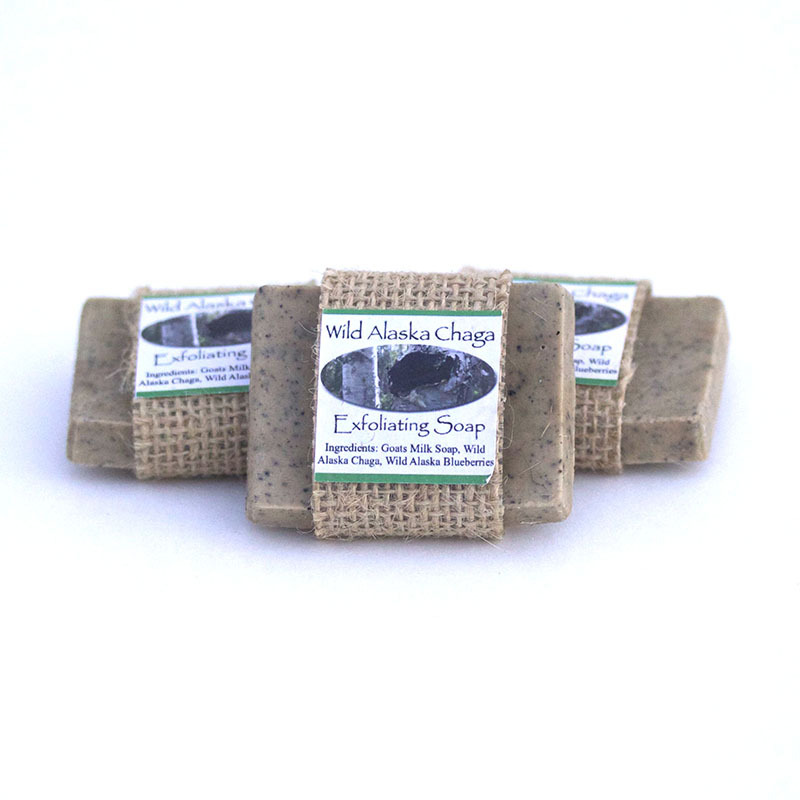 Our goat’s milk soap contains finely ground chaga (Inonotus obliquus) sustainably harvested from the pristine wilderness of Interior Alaska. Small exfoliating chaga granules provide a most refreshing bathing experience. No dyes or fragrances added. 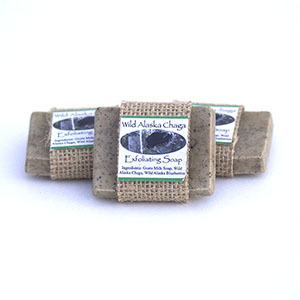 Order your chaga soap today!